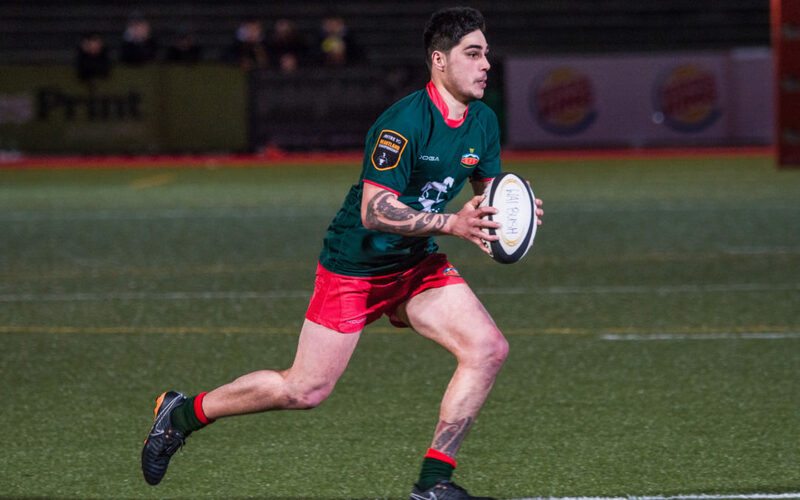 Sean Law has been biding his time in the Wairarapa-Bush Development squad, and tomorrow the versatile back will get his first taste of Heartland Championship rugby with the premier team. Law made his mark playing rugby in North Harbour before moving to Wairarapa and being included in the squad this season as a loan player. He featured in three pre-season games for Wairarapa-Bush, and since then has been fully committed to helping the development squad. On Saturday, he will start at centre against Horowhenua-Kapiti in Levin [2.30pm], in one of two changes to the team that thrashed Buller 61-29 in Masterton last weekend. The other change sees Martinborough’s James Pakoti replace Max Tufuga at prop. Wairarapa-Bush coach Joe Harwood said Law had earned a chance to show what he could do at the next level. “We wanted to make sure he is in there and gets some good game time. Law has been a standout performer for the development squad, and Harwood said they had no doubt he was up to the task of stepping up to Heartland level. “He covers a variety of positions and he’s been fantastic in terms of his attitude and what he’s given to the Bs. Wairarapa-Bush were beaten 32-6 when they played Horowhenua-Kapiti at Westpac Stadium in a pre-season clash in May, but that was a very different team to the one that will take the field tomorrow. Horowhenua-Kapiti have had a similar start to Wairarapa-Bush in the Heartland Championship, with both teams sitting on two wins from four matches. Harwood said they were pleased with what the team had achieved on attack last week as they ran in nine tries, but there was plenty of room for improvement. “The set piece was disappointing on the weekend and again, we’re up against guys who are bigger so we have to work harder and be smarter. Adding to the occasion is the fact Horowhenua-Kapiti are celebrating their 125th jubilee this season, and tomorrow is their Old Timers’ Day. The teams will also be playing for the Bruce Steel Cup, which is contested by Wairarapa-Bush, Horowhenua-Kapiti, Manawatu and Wanaganui. The cup was donated by Mr and Mrs W H Steel in 1965 in memory of their rugby-playing son Bruce, with Wairarapa beating Horowhenua 20-12 at Masterton in the first game. Horowhenua-Kapiti are the current Holders after defeating Wanganui 15-8 last season, and tomorrow will be their first defence since then. Harwood said they were not getting carried away with what is at stake in the match. Inia Katia, Tristan Flutey, Sean Law, Michael Lealava’a, Soli Malatai, Glen Walters, Daryl Pickering, Kirk Tufuga, Ryan Knell, Tavita Isaac, Lachie McFadzean, James Goodger [c], James Pakoti, Nicholas Hohepa, Sam Gammie. Reserves: Lance Buchanan, Jeremiah Mapusua, Marcus Ale, Epeli Rayaqayaqa, Tipene Haira, Robbie Anderson, Matt Henderson.